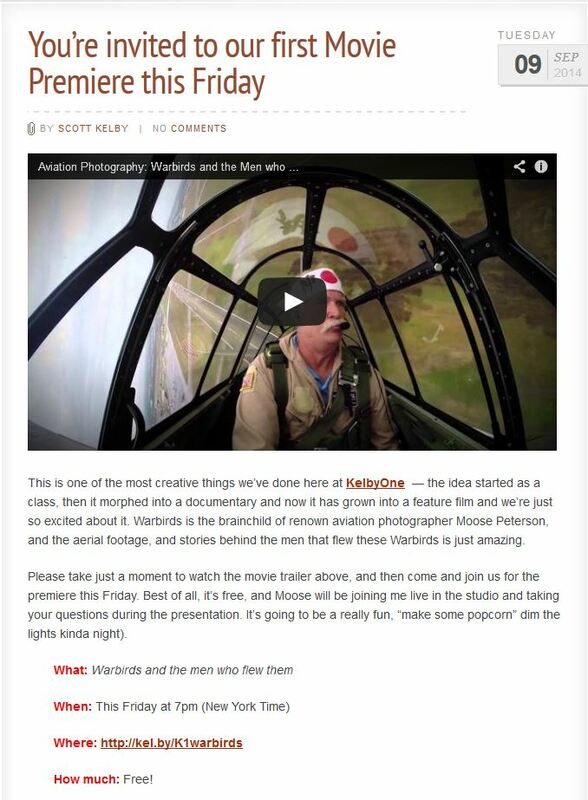 If you enjoy Aviation, Photography, Cinematography or history then you don’t want to miss the premiere of the Kelbyone production of Warbirds and the men who flew them. Having been apart of the filming last year at Houston, I’m very excited to see what the crew was able to come up with. The movie goes live on Friday but you can watch the trailer over on Scott’s blog right now!